One-stop hair removal salon HairX offers treatments that are affordable and reliable—perfect for those whose resolutions include being hair-free and worry-free. 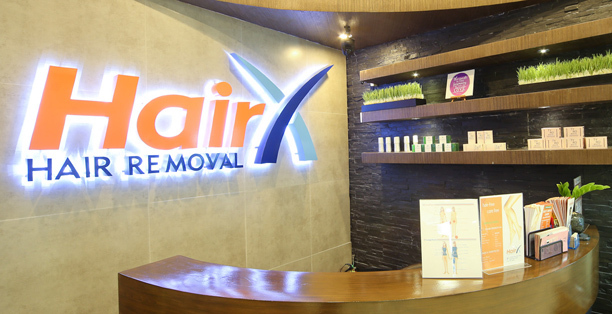 HairX Hair Removal offers modern services using the latest state-of-the art technology. Launched in August 2015, it is a local concept that was inspired by Musee, Japan’s No. 1 hair removal salon. HairX is managed by highly trained aestheticians knowledgeable in using the latest equipment, techniques, and procedures in a clean and relaxed environment. HairX Hair Removal ensures that each procedure is painless by combining modern services with the latest state-of-the-art technology such as IPL hair treatments, Diode Laser machine, Lycon wax, and threading procedures that are effective with long-term reduction results without the pain and distress. The IPL hair treatment (Intense Pulsed Light) uses a broad-spectrum, visible light that’s devised to reduce hair growth and target the melanin pigment in the hair located on specific areas of the body. The hair removal salon also offers Power Brows Microblading, body massage and foot reflexology (in its S Maison branch only) plus facial services (Glow, AquaFacial and Pristine Facial), and skin lightening treatments (AquaLite, PristineLite, IV Glutathione, IV Placenta and IV Cinderella). It caters to men and women from 14 to 40 years old. The IPL (Intense Pulsed Light) hair treatment uses a broad-spectrum visible light that’s devised to reduce hair growth and target the melanin pigment in the hair located in specific areas of the body. HairX Hair Removal has branches at Conrad S Maison in SM Mall of Asia complex and at Eight Forbes Town Road in Bonifacio Global City.